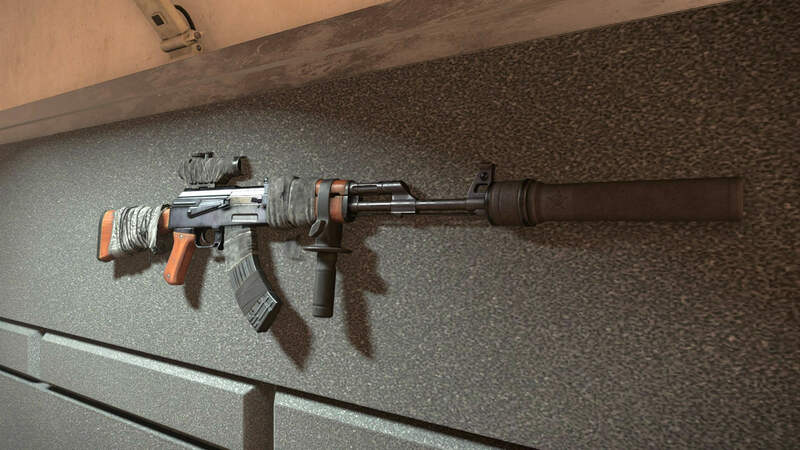 Upgrade your arsenal with the Merciless Exotic Rifle in The Division 2. 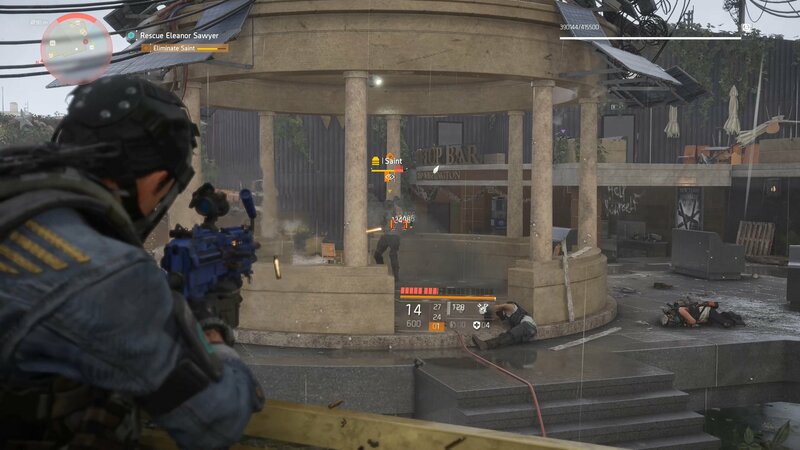 If you really want to pack a punch in The Division 2, then getting your hands on the Merciless Exotic Rifle is a sure-fire way to do that. Acquiring this weapon won’t be an easy challenge, but we’ve outlined all the steps that you’ll need to follow in the guide below. Like most weapons in The Division 2, the Merciless Exotic Rifle can only be obtained through random drops. However, there are a couple of things you can do to increase the likelihood of picking up this powerful gun along the way. As a Hyena faction-based weapon, the Merciless can only be obtained by defeating named Hyena enemies. These are by far some of the most powerful enemies that you’ll come across in The Division 2, aside from those like the Hunters, which you can kill to get all 12 Hunter Masks. The best way to go about getting the Merciless Exotic Rifle is to complete missions with Hyena enemies. This will allow you to fight named bosses, which means you’ll have a chance to obtain the weapon as a reward for killing that enemy. You'll need to kill named bosses like Saint for a chance at grabbing the Merciless Exotic Rifle. While you can find named Hyena bosses out in the wild, the best way to grind for the Merciless is to complete missions with Hyena enemies. This will constantly ensure that you have a chance at obtaining the weapon, as you’ll have to fight one or two named bosses depending on the difficulty options that you decide to use for the mission. I’d suggest playing through missions like the Jefferson Trade Center, Washington Hotel, or the Bank Headquarters mission. Really, though, any Hyena-based missions will do, but these are just some that you can complete more quickly than others. If you don’t mind playing longer missions, then the Potomac Event Center is also a Hyena mission, and you’ll find a good couple of named Hyena bosses to fight against here. When you reach end-game, you’ll unlock some variations of several of the main story missions. Because these new Invaded Missions are based on the Black Tusk faction, you will need to ensure that you are playing through the original version of the mission. You can easily do this by just checking the mission marker on your map and making sure it doesn’t say Invaded on it. While the overall damage stats on the Merciless will vary depending on when you obtain it, the perks are what you’re really after here. Like other exotic weapons in The Division 2, you’re going to have some really nice offerings here when it comes to available perks. The first perk you can look forward to is Binary Trigger. Each time that you pull and release the trigger, the weapon will fire. Effectively this will allow you to fire two shots for each time that you pull the trigger. As a rifle—which only fires when you pull the trigger—this gives you a nice additional bit of fire rate, which works well with the next perk on the list. The Merciless is a powerful exotic weapon that players can obtain in The Division 2. The second perk on the Merciless is Guerilla Warfare. Basically, each time that you pull the trigger, the Merciless fires a primer round that becomes embedded in the enemy that you’re targeting. You can embed up to five primer rounds into a single enemy. dealing +75% damage per primer. The big caveat here is that you can only embed primers in one enemy at a time, so make sure you aren’t changing targets until you take your current target down. What makes the Brutality perk so nice is you don’t even have to use the weapon to make use of this perk. While equipped and holsters, landing a shot with another weapon will grant a 5% chance to deal +20% damage as explosive damage. This can be really handy against groups of enemies, especially if you’re using a weapon that fires quickly, thus increasing the amount of “hits” you’re making on the target. Now that you know the stats and how to get the Merciless Exotic Rifle, be sure to head back over to our The Division 2 guides for more help getting your hands on all the exotic weapons in The Division 2. You should have come along when I was running the Hyena Stronghold over and over to get it! hah I'll do it again. Got pretty good at that one.